Kiwi Auli is the first environmental grocery store built by the store chain Kiwi, and is a step toward their ambition to reach carbon neutrality. It is located in Auli in central Norway (60.03°N, 11.35°E). The roof is a fully building integrated PV solution consisting of flat quadratic mono-crystalline silicon tiles (13.5 % efficient) with a total capacity of 163 kWp and covering an area of almost 1300 m2. The BIPV roof tiles are laid directly onto the sub-roof structure in a fish-scale pattern, replacing conventional roof tiles. Half-tiles (triangular) are also available for end fittings. The tiles are frameless for aesthetic reasons and to enhance self-cleaning. The decision to include a BIPV roof was made late in the building process, and therefore had to be retrofitted to the existing building design. The roof is slightly north-facing with a pitch angle of 7.5 degrees. Although this is not ideal in terms of annual PV production, the owners decided to use the opportunity to install a BIPV system for learning purposes and to prepare for the transition toward carbon neutral stores. 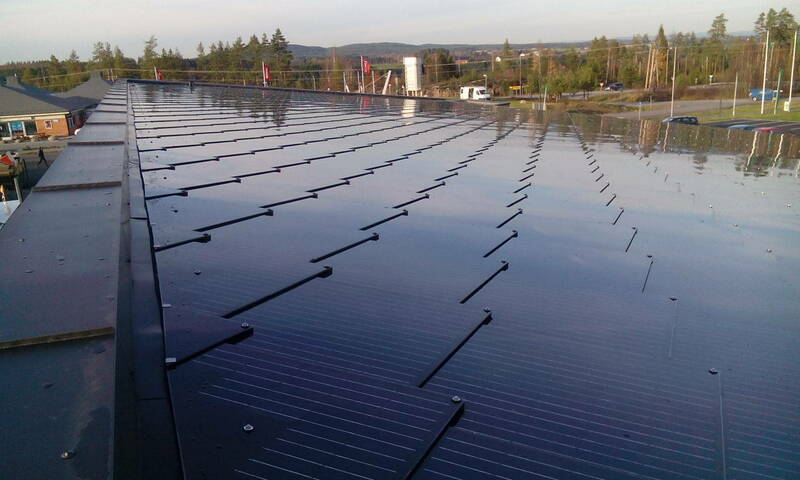 In terms of future projects for this grocery store chain, valuable lessons have been learnt about the critical factors for optimum PV performance and the importance of including PV design into an early planning stage. The system is instrumented for monitoring of electricity production. PV production from each string is analyzed based on available data from the SMA inverters. Wind speed and ambient temperature is also measured. 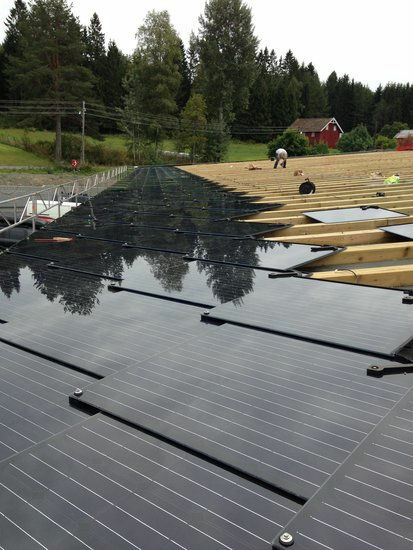 The Kiwi Auli BIPV system consists of 1300 m2 roof-integrated mono-crystalline solar tiles. 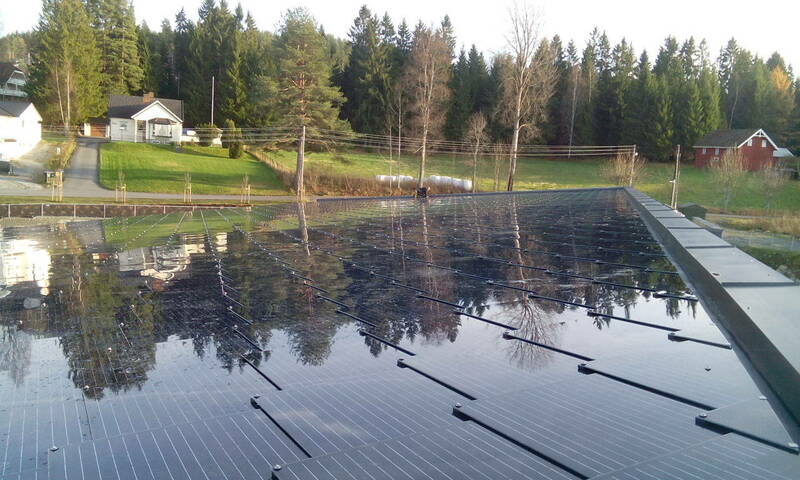 The total installed capacity is 163 kWp. The system was installed in 2015. 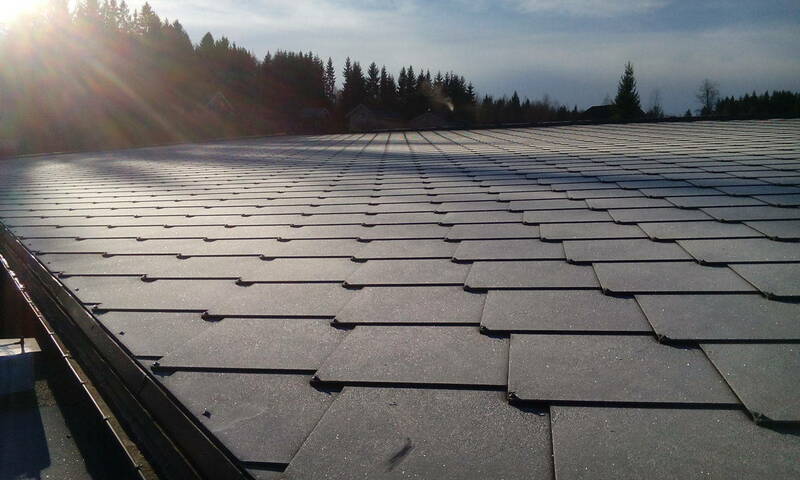 In winter, the roof may be temporarily covered by snow or ice, but according to the system supplier it quickly melts. PV production data is available from 2015 onwards.The predicted annual yield from the system was 97000 kWh, giving an estimated specific yield of 595 kWh/kWp. Experience from the initial year of operation showed that the system underperformed due to surrounding trees that cast shadows on parts of the roof.